Michael Kanost, university distinguished professor of biochemistry and molecular biophysics, led a team of 114 researchers from 50 institutions and 11 countries in a project to sequence and annotate the genome of the tobacco hornworm — a caterpillar species used in many research laboratories for studies of insect biology. 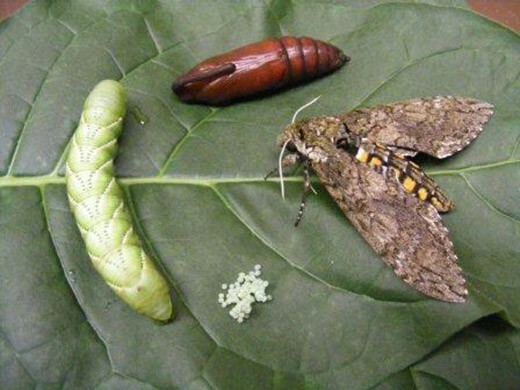 The researchers have published their work “Multifaceted biological insights from a draft genome sequence of the tobacco hornworm moth, Manduca sexta” in the journal Insect Biochemistry and Molecular Biology and have made the genome sequence available to the public through the National Agricultural Library. The tobacco hornworm, or Manduca sexta, develops into the Carolina sphinx moth. The name Manduca comes from the Latin word for glutton because these caterpillars eat so much. Manduca sexta occurs naturally in North, Central and South America and is a known pest to gardeners: It eats the leaves of tomato plants and also can be found on pepper, eggplant and potato plants. Crops and weeds from this plant family, which includes tobacco, produce chemicals such as nicotine that deter feeding by most insects, but not Manduca sexta, which makes its physiology especially interesting to scientists. The sequenced genome can lead to improved molecular biology, physiology and neurobiology research in insects and also may help in developing future new methods for insect pest management. The life cycle of the tobacco hornworm, or Manduca sexta. Kanost has studied the tobacco hornworm for decades, and he and Gary Blissard, from the Boyce Thompson Institute at Cornell University, decided to start the collaborative project to sequence the tobacco hornworm’s genome in 2009. Kanost’s research focuses on proteins in caterpillar’s blood and how insects protect themselves against infections. Kanost and the Kansas State University research team prepared and purified the DNA of the tobacco hornworm and sent the samples to the Baylor College of Medicine Human Genome Sequencing Center in Houston, which performed the genome sequencing. The international team used a common computer system so that the researchers from around the world could analyze the gene sequences based on their areas of expertise. Walter Dodds, university distinguished professor of biology, was named an inaugural fellow of the Society for Freshwater Science. Dodds is recognized for his contributions to freshwater science, promoting freshwater science through education and outreach and membership in the society. The society’s board of directors selected fellows for the inaugural class. 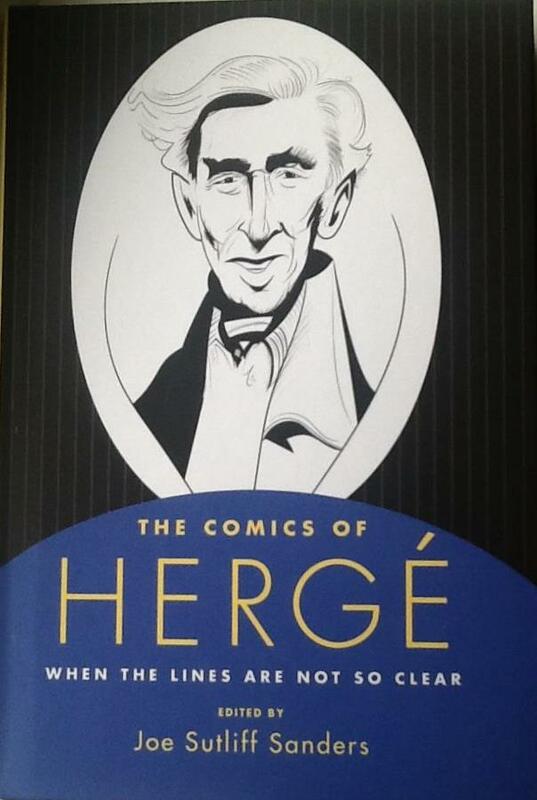 Joe Sutliff Sanders, associate professor of English, published two edited collections: “The Comics of Herge: When the Lines Are Not So Clear” (UP of Mississippi, 2016) and, with colleague Michelle Ann Abate, “Good Grief! 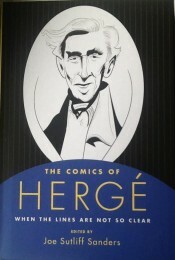 Children’s Comics, Past and Present” (Ohio State University Libraries, 2016).